Making such a pencil box is elementary. 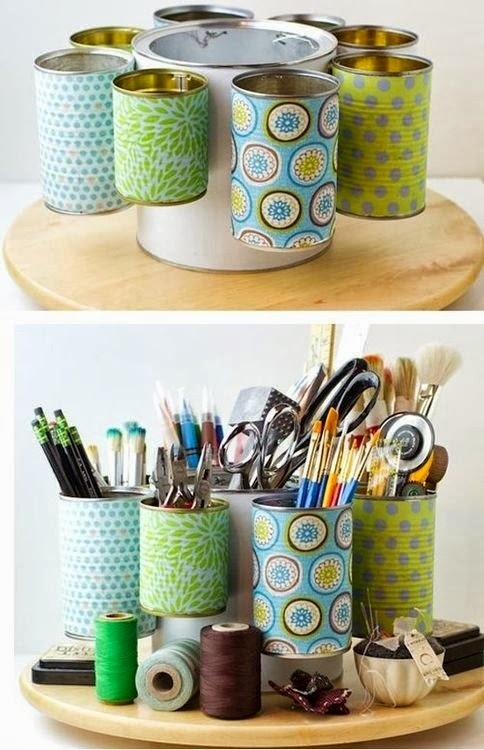 Just pick some old tins and decorate them as you like. You can attach them one to another and lay them over a board. Then you get a perfect to keep your tools and devices.